Despite being attractive, the HP Envy 13-AB016NR has great specifications too. Due to its commendable features, it can be the perfect pick for fulfilling your working and gaming needs altogether. It is a complete power packed device. If you want to go for it, it is a heads up from our side! Gone are the days when laptops were used to be bulky and heavy. Today is the generation of sleek devices packed with powerful configuration. With the advancement in technology, nowadays, there are countless numbers of laptops available in the market. Not only they look elegant and are comfortable to carry, but they also have commendable specifications when it comes to hardware and software. 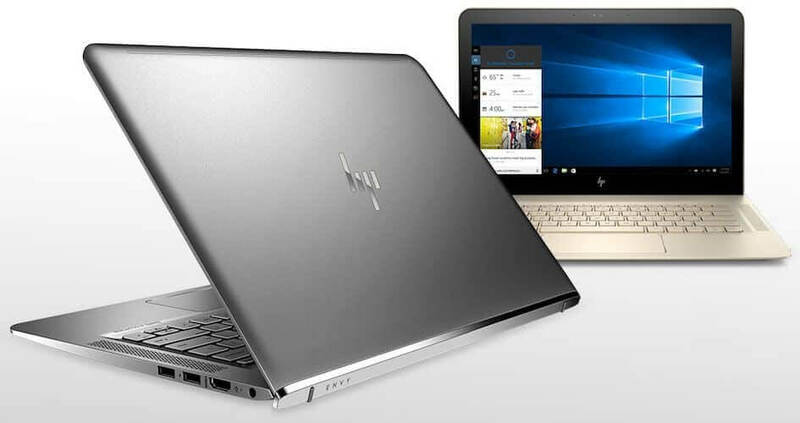 HP is one of the companies which have made brilliant use of technologies when it comes to laptops. 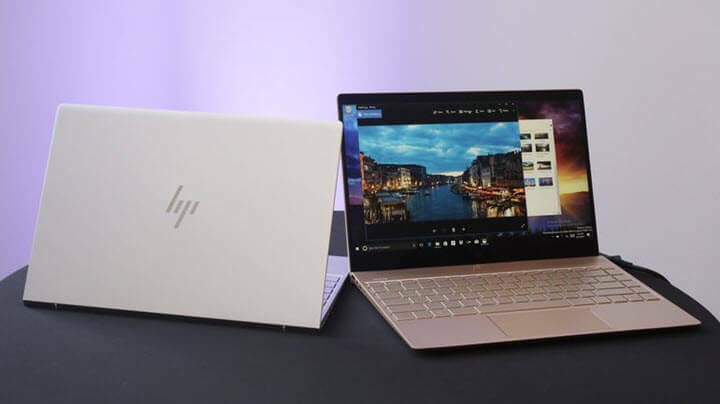 One such latest production of the company is the HP Envy 13-AB016NR, which has created quite a fuss in the market at the time of its launch. HP claims it to be its thinnest laptop till date. This laptop is definitely an eye catcher when one first sees it. But, is it worth all fuss? Well, definitely yes! Despite being attractive, it has great specifications too. 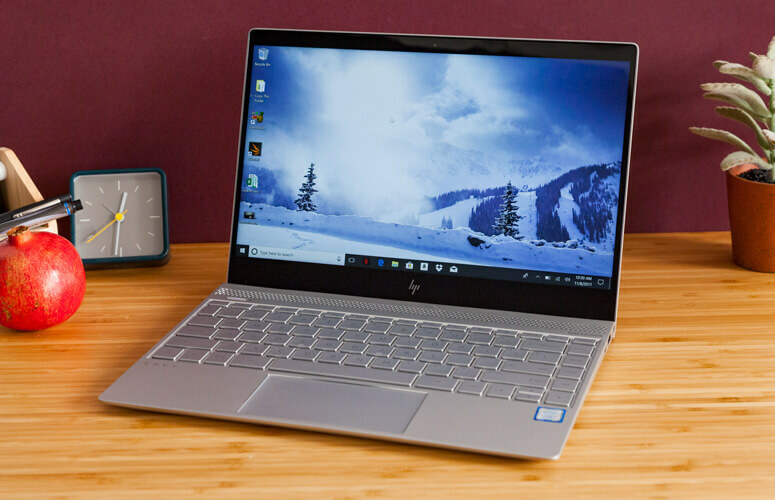 Hence, in this article, we will provide our readers with a detailed HP Envy 13-AB016NR review, to know the device in a much better way. Before moving ahead, let’s have a quick look at its pros and cons. The SDRAM could have been better. The storage of 256GB is very low as compared to other latest devices in the market. Overall, this laptop is surely a value for money purchase. Though it might lack in certain features, yet, if one is looking for a sleek and thin laptop with good performance, then this can be the right choice. Price is an important factor that you should consider when it comes to buying a laptop. No one wants to spend a lot of bucks if they do not get the appropriate value in return. 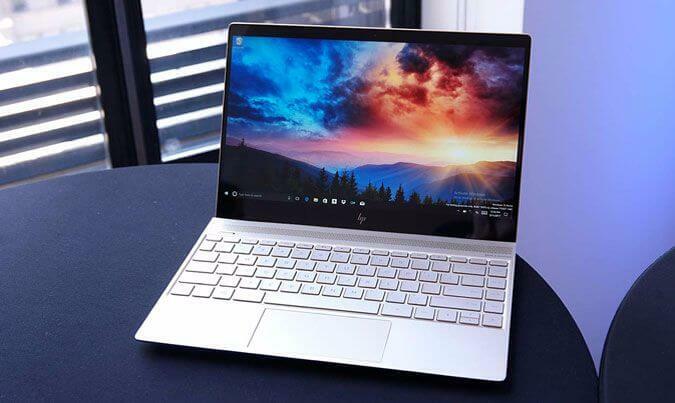 Keeping this in mind, the HP Envy 13-AB016NR is pocket-friendly and available at a very reasonable price of around $1000. Given the excellent build quality, powerful performance, Display, and Configuration, the price is very much justified. In certain aspects, the HP Envy 13-AB016NR is better than most of the other laptops which are overpriced. When it comes to screen and display, the HP Envy 13-AB016NR is quite impressive. It has a 13.3-inch Full HD screen with 1,920 x 1,080 pixels. Thanks to its screen resolution and display due to which one can enjoy crystal clear visuals and images. he hardware and processor of a laptop are important determinants for buying a laptop. They directly affect the device performance. The hardware specifications of the HP Envy 13-AB016NR are really something to fuss about. It features a 7th Generation Intel (R) Core i5 -7200U dual-core processor. The processor is set at 2.5GHz and capable of attaining a maximum of 3.1GHz. It also features an 8GB of DDR3 SDRAM, due to which it can handle multiple tasks at the same time without any interruption. However, other laptops within the same price range have a better SDRAM. Most laptops are good in performance, but when it comes to having great gaming options, they lack the same. However, this is not the case with HP Envy 13-AB016NR. This laptop is featured with an Intel HD 620 graphics card. Though this graphics card might not be the best for gaming, it provides a very reasonable gaming experience to all the game lovers. torage is yet another important factor to be considered before buying a laptop. In today’s digital world, we all depend on the technological devices that we use for storing our important files and documents. The HP Envy 13-AB016NR is featured with a 256GB Solid State Drive of PCIe NVMe M.2. Though it could have been a little more, there is no issue with the speed of this Solid State Drive. However, if you are looking for a laptop for more storage option within the same price range, then you can choose Dell G7 15. It features a 1TB hard drive, 8GB RAM, Intel Core i5-8300H processor, Nvidia GTX 1050 graphics card. The HP Envy 13-AB016NR runs on Windows 10 Home Basic. The astonishing features, reliability and comfortable User Interface of the Windows operating system are known to all. It also boasts a new inbuilt feature of Windows 10 Cortana; it works as a personal assistant. It is very well capable of receiving voice command inputs. Moreover, this software aids in setting reminders, making plans, alerts and other functions of a personal assistant software; the compatibility of this software with the HP Envy 13-AB016NR is near to perfect. When it comes to looks and design, the HP Envy 13-AB016NR device is a treat to one’s eyes. It is undoubtedly one of the most beautiful pieces of technology available in the market. It has a complete aluminum body, which is elegantly polished in silver color, giving it a very trendy look. The weight of the laptop is around 1.34 kg, which is very easy and light to carry around. In short, we can say it is an ultra-portable device. The touchpad of the HP Envy 13-AB016NR is superb. It supports multi-touch gestures and capable of accepting uninterrupted inputs. The responsiveness of the touchpad is very quick. The size of the keyboard is quite large with big keys which provide a very wonderful user experience. The keyboard is backlit too. Though some online reviews of HP Envy 13-AB016NR claim the keyboard to be not up to the mark, we didn’t find any such issue. The web camera is fitted at the top of the screen which is superb video calling and recording videos at 720p HD resolution. The camera even works better in low-lit conditions. The video calling experience with this camera is great with the vibrant clarity of the videos. One can also click great pictures with it, something, which is not common in other laptops. 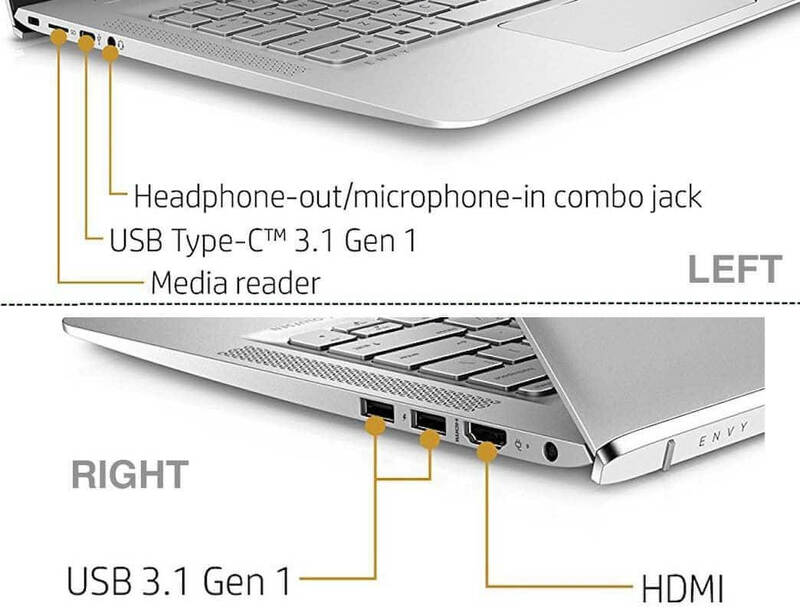 Connectivity and USB options of HP Envy 13-AB016NR are also quite good. This beautiful laptop features a wireless LAN 802.11 a/b/g/n/ac and Bluetooth v4.2. It has a Micro SD card reader to connect external SD cards, a combo headphone and microphone jack of 3.5mm. It owns one HDMI port and one DisplayPort too. The device features a 3-cell Li-ion battery. HP claims its battery life to be of 14 hours when used continuously. But many HP Envy 13-AB016NR review says that its battery lasts about 10 hours on continuous usage, which is not that bad either. It is better than most of the laptops in this price range. Thanks to HP’s Fast-charge technology, it does not take much time to charge. If your laptop is not capable of delivering fast performance, then it serves no real purpose. In such a fast-moving technological world, a slow performing laptop stands nowhere. But, the performance of the HP Envy 13-AB016NR is highly commendable. It owes all the credits to the 7th Gen Kaby Lake intel core i5 processor. There are hardly any chances of noticing any issues in its performance; it is undoubtedly flawless. It is capable of running a number of heavy applications seamlessly without any issue. The multi-tasking capability of the HP envy 13-AB016NR is also not at all bad. Moreover, the laptop does not have any heating or sound issues; it handles all the functions very calmly. When it comes to having a good multimedia experience, the HP Envy 13-AB016NR does not disappoint you. This laptop comes with dual stereo speakers that are fitted on either side of the keyboard. It offers crystal clear sound; you can’t find any distortion in its sound. As a result, its video playing capability is great too in 4k, HD, Full HD, and UHD modes. Thus, it gives its users a very wonderful video viewing experience. In a nutshell, one will not regret investing in this laptop. Not only it is capable of delivering great performances, but it also supports good gaming experience. So, it can successfully fulfill your working and gaming needs altogether. It surely lacks certain features, but its advantages successfully outweigh the disadvantages. Hence, one can easily ignore the issues and confidently proceed to invest in this device.